Call us at 614-554-8937 for pick up or delivery. Based in Columbus, we offer one of the highest quality premium colored mulch. Our mulch is all organic from woody plant material. No pallets or lumber. Better Prices and Better Mulch! We Also Carry Topsoil! 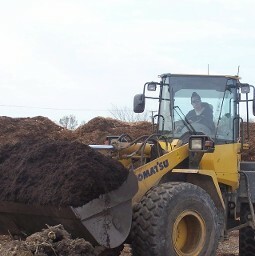 We are one of Columbus's leading manufacturers of mulch. We deliver and provide mulch to Columbus, Powell, Delaware, Dublin, Lewis Center, Sunbury, Worthington, Galena, Gahanna, Westerville and New Albany. We are a wholesaler open to public of colored mulch, natural mulch, and landscaping mulch. 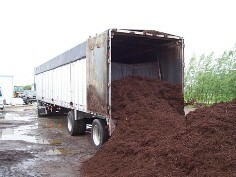 At our plant, woodchips are aged and reground in an industrial mill and sold as fine ground natural or dyed using environmentally safe colorants and sold as premium black, chocolate brown, red or natural mulch, Since our mulch is produced in house, we are able to offer this premium mulch product at deeply discounted prices. Now you can have the Best for Less! Our office hours are: 8AM-5PM Monday-Friday. Call to arrange after hours pick up.